Some people may look at this massive Two Story Inflatable Grinch as a way to top off their huge assortment of Christmas lights and holiday decorations. I look at it as a stand-alone item—a replacement for almost all those other lights and decorations. It allows you to have impressive festive decor with very little work; setting up in just minutes, instead of hour after hour of hanging lights only to have to take them down again a month later. 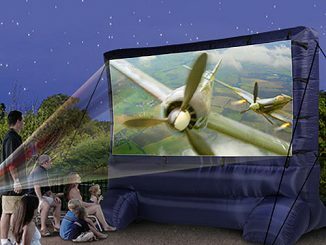 If you have several airblown inflatables, that’s even better. Setting up several still takes very little time, yet can look spectacular, even if this 18 foot tall Grinch towers over the others. 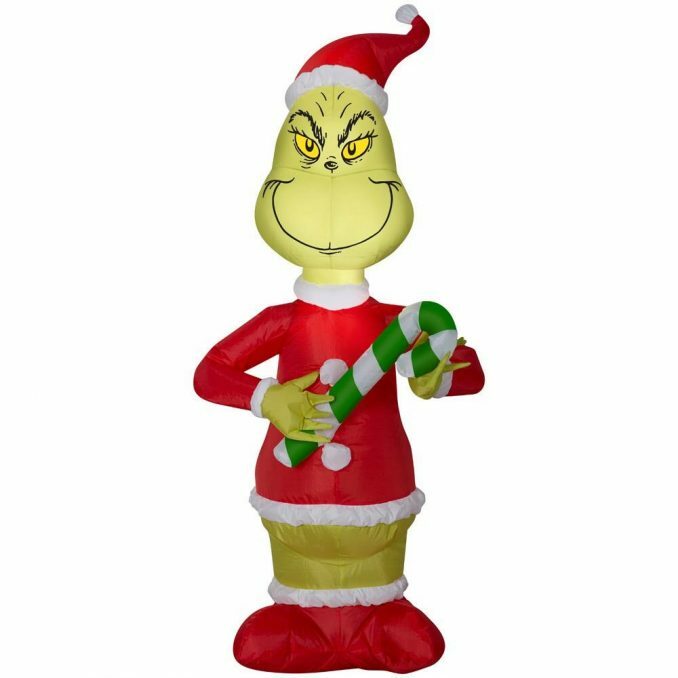 Available only from Hammacher Schlemmer, this is the 18′-tall inflatable Grinch that greets Whos and guests with his signature grin. 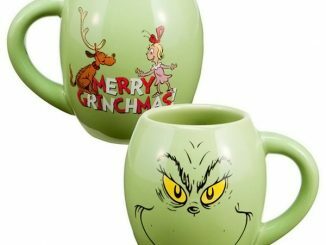 Based on the 1966 animated classic, Dr. Seuss’ How the Grinch Stole Christmas, he stands wearing his custom Santa Claus suit and holds an ornament that reads “Naughty or Nice”. Ten C7 lights illuminate his interior while ten included stakes and four rope tethers prevent him from wandering up to Mt. Crumpit. 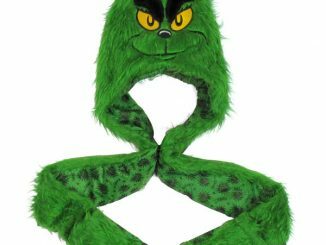 A built-in 200-watt air blower inflates the Grinch in minutes and provides constant inflation. Made from tear-resistant polyester. 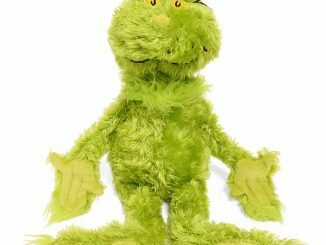 Purchase the Two Story Inflatable Grinch for $399.95 at Hammacher Schlemmer. 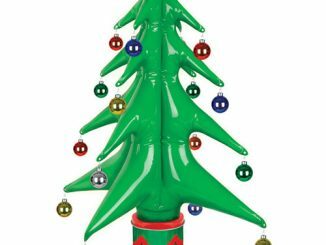 That’s kind of pricey, so below we’ve found some other Grinch inflatable Christmas decorations that are quite inexpensive. 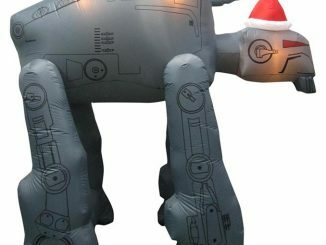 Add a familiar and festive holiday touch to your yard with the Inflatable Grinch. The lovable, misguided character is dressed as Santa, carrying a sack full of stolen Christmas presents. 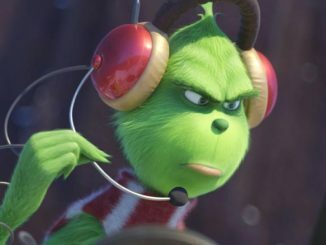 He’s rendered perfectly, from his Grinchy grin to his Santa suit to his long, skinny fingers. 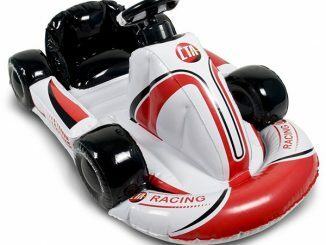 Easy to install: plug it in, stake it down and watch the magic of this airblown inflatable character unfold. 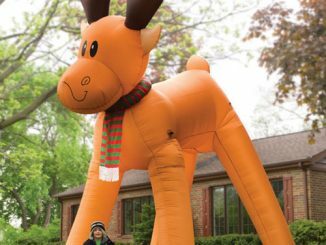 Purchase this Holiday 8′ Inflatable Grinch in Santa Suit with Sack at Home Depot. 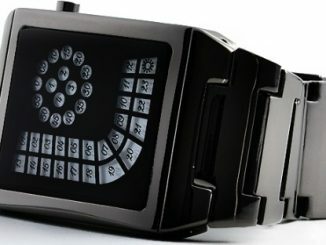 Normally a reasonable $99, currently (at time of publication of this article) it is on sale for 25% off, making it just $74.25. If that’s still too much, the following option is even cheaper. 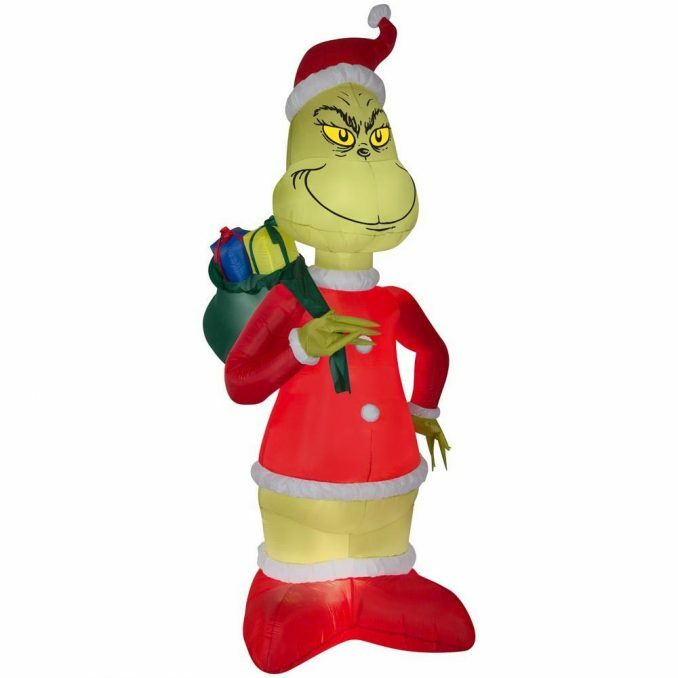 Delight guests and passersby with this Airblown Inflatable Grinch character holding a green-striped candy cane. 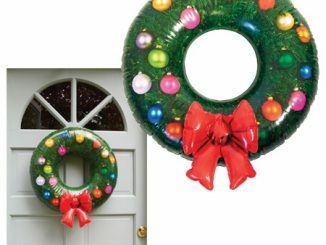 This whimsical holiday decoration self-inflates in seconds and includes energy-efficient LED lighting for nighttime visibility. No assembly required. Plug it in, stake it down and watch the magic unfold. 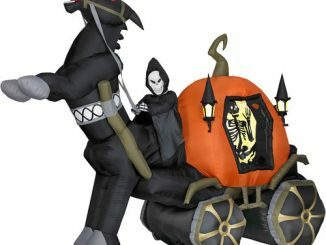 Home Depot has this Inflatable Grinch with Candy Cane for only $29.98.